Getting knocked back is also acceptable. Normally we like to dedicate individual posts to covering what's new in Fortnite Battle Royale, Save the World, and Creative Mode, but this week's v8.11 update just ain't big enough for that kinda thing. So! Instead we'll cover it all right here, in this post, which you're already reading. How convenient! Battle Royale's sole new addition is the Flint-Knock Pistol, which launches the shooter in the opposite direction when fired. The gun can only fire once before being reloaded, which takes three seconds. It comes in Common and Uncommon flavors, and does 86/90 damage at close range. Epic says that the gun suffers from "significant damage falloff," so it seems to be an item focused on traversal, rather than pinpoint damage at a distance. Your target can also get thrown around when you fire, provided that they're close enough to the gun, and you can crouch before firing to negate the knock back effect entirely. Elsewhere in Battle Royale, the Impulse Grenade has been unvaulted, and the Scoped Assault Rifle's base damage has been boosted to 27/26, up from 24/23. Lastly, spawn rates for the Baller are now 50 percent, down from 100. Over in Creative Mode, there's a new island! 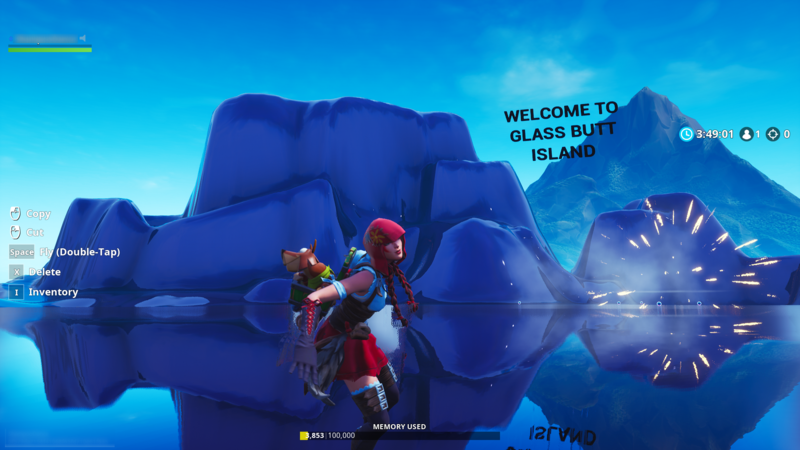 Everyone now has two Black Glass Islands in their rift menu, which we've already put to good use, as seen above. Moving on! 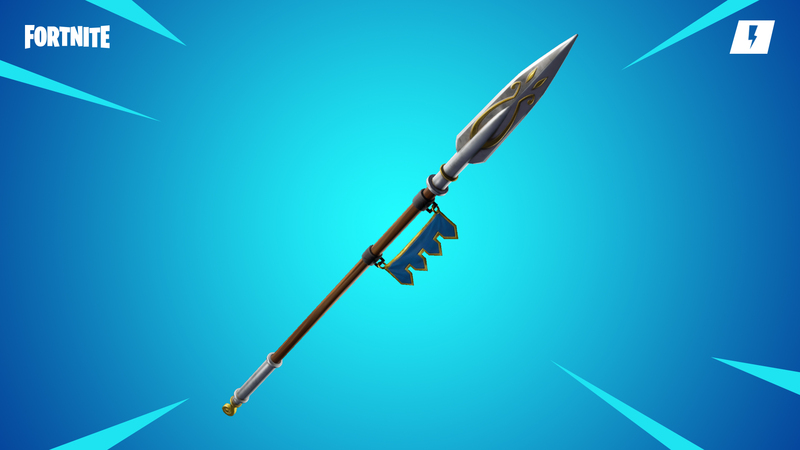 Update v8.11 adds one new weapon to Save the World's Weekly Store: The Sir Lancelot Spear. Seen below, the spear features a new set of attack animations that focus on thrusting attacks. Its heavy attack, "Joust," is a forward charge that deals damage and knocks back small enemies. Battle Hound Jonesy also returns to the Weekly Store -- his first reappearance since the introduction of the new Hero Loadout system. A Soldier-class hero, his standard perk adds an additional charge to the Commander hero's frag grenade. If he's the Commander, that boost is increased to four additional charges. And them's the haps! For information on bug fixes, UI tweaks, and other ephemera, peep them full patch notes. It's like an axe, but one-dimensional.